John Terry will get to make the decision over what job he takes should he opt to return to Chelsea as a coach, says Maurizio Sarri. Terry has rejected a surprise move to Spartak Moscow for family reasons after leaving Aston Villa following a single season with the Championship club. A reunion with former England and Chelsea team-mate Frank Lampard had also been mooted, but the Derby County manager ruled out offering the veteran a deal. 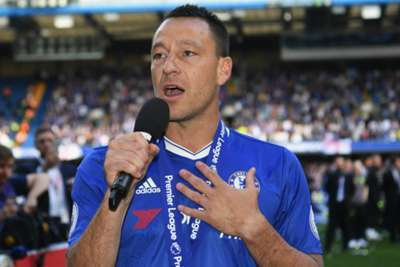 Chelsea icon Terry captained the club to five Premier League titles, as well as four FA Cups and three EFL Cups, along with a Champions League and Europa League title. Terry previously indicated he wants to return to Chelsea as the club's manager and Sarri has opened the door for the 37-year-old to join his coaching staff. "It's up to him," Sarri told a news conference ahead of Saturday's home game against Cardiff City. "I think that, if John prefers to start with the young players, it's right to start with the young players. "If John wants to work with my staff, it's right that he works with my staff." "If there is a pitch and there are 11 players, I feel at home anywhere," Sarri said. "For me, my life is on the pitch with the players. For the moment, I'm really very happy to stay here. "I have my dog here with a very big garden, so the dog is very happy. I'm really very happy. I feel like at home. I feel in my home. I have a house five miles from here. No more. Surrey. Similar to my name. "Usually long [days], yes. But, for me, it's a pleasure. I am not able to think about this as a job, like work. It's 12 or 13 hours, but for me it's not working." 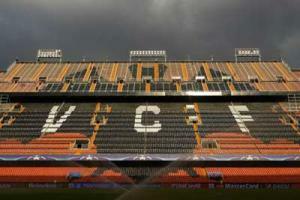 Plans to reformat the Supercopa de Espana have not been well received by Valencia.